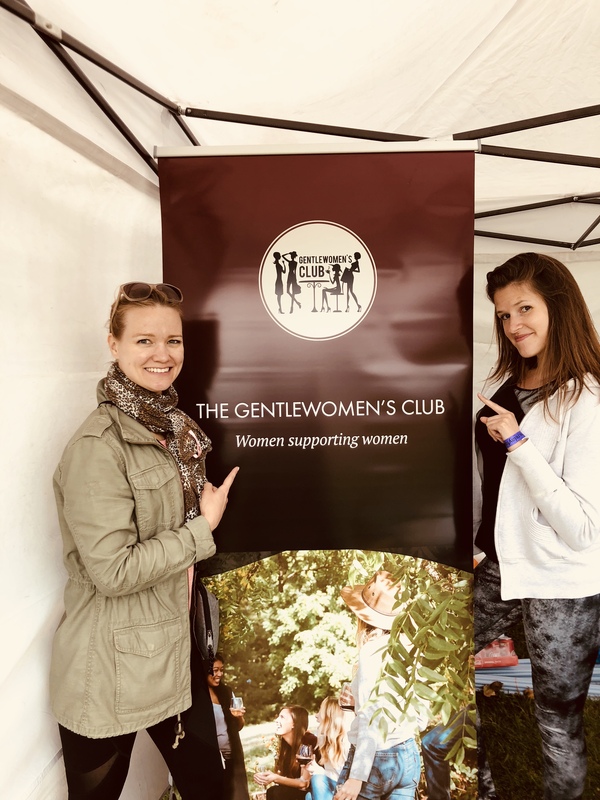 Last weekend, the Gentlewomen’s Club Team took part in the Relay for Life, a festive event that focuses on solidarity and fund-raising for the fight against cancer. Over 24 hours, from 2pm on Saturday to 2pm on Sunday, our team has relayed, either walking or running, to raise funds for the cause. 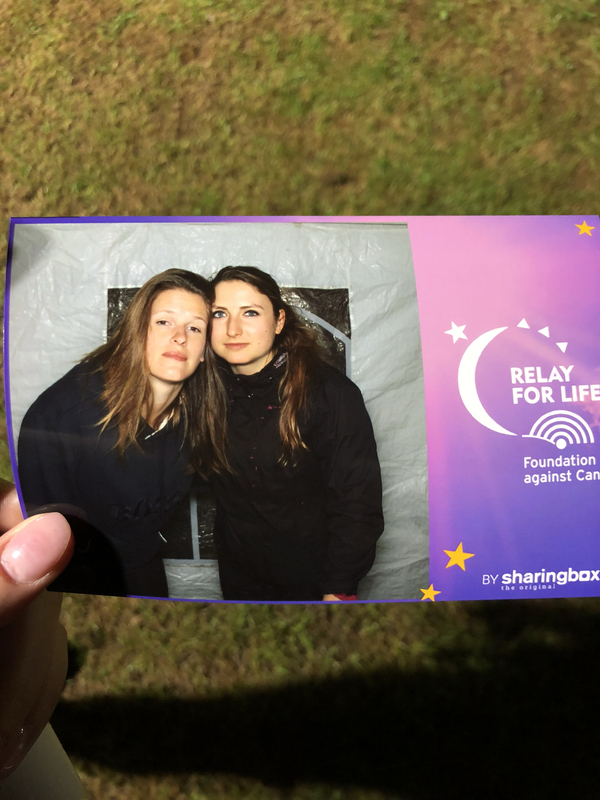 Two of our members are cancer survivors, we took part in the Relay for Life for them, their families and everyone else who is fighting this disease. 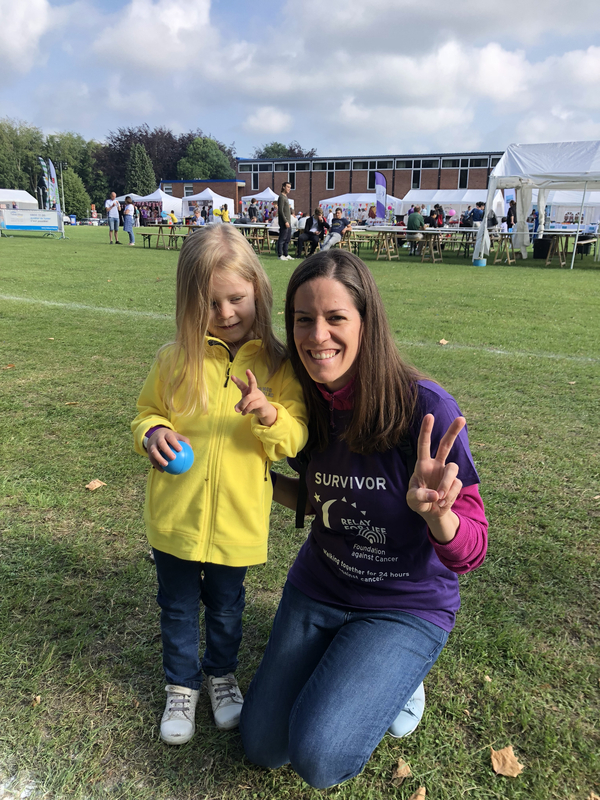 Krisztina, our member, who recently celebrated a 2 year cancer free milestone, joined us with her beautiful daughter, on Saturday. On Sunday, she came back with her family and friends to join the last miles of the relay. 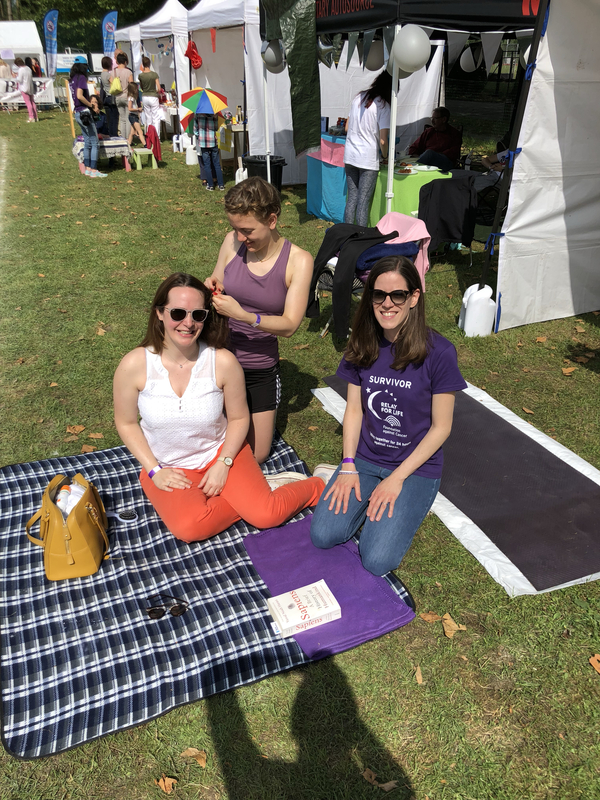 So happy and so inspiring to have her there, proudly wearing the purple T-shirt! 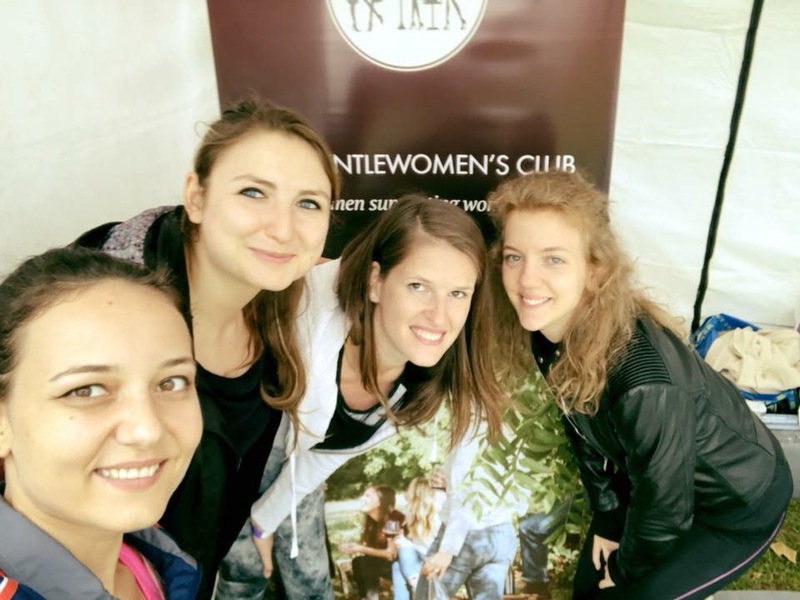 Our core team was made of four incredible ladies, who relayed for the entire 24 hours: our co-founder and team captain, Sabina Ciofu, our HR Manager, Simone Mohrs, and two of our amazing members, Irina Constantinescu and Otilia Ciobanu. And none of this would have been possible, if we didn’t have extra help throughout the relay. 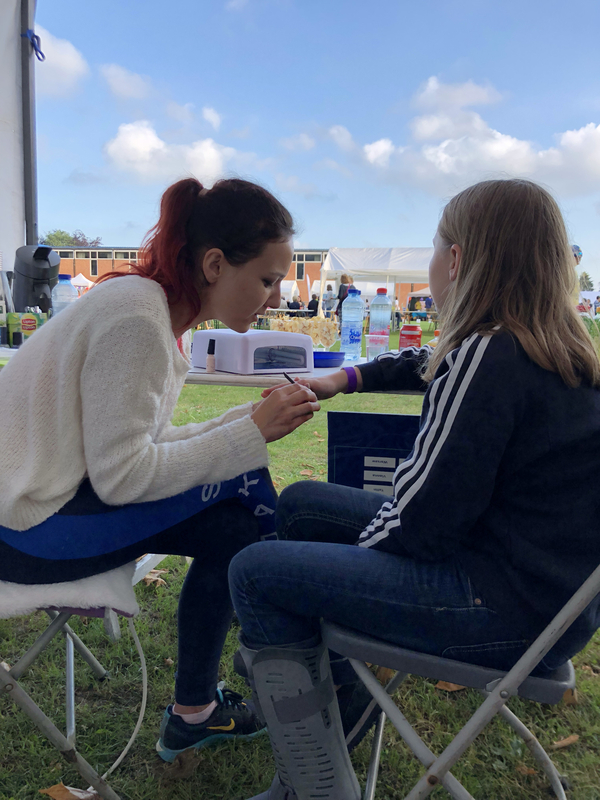 Krisztina and her daughter joined us both on Saturday and Sunday, with much needed coffee! 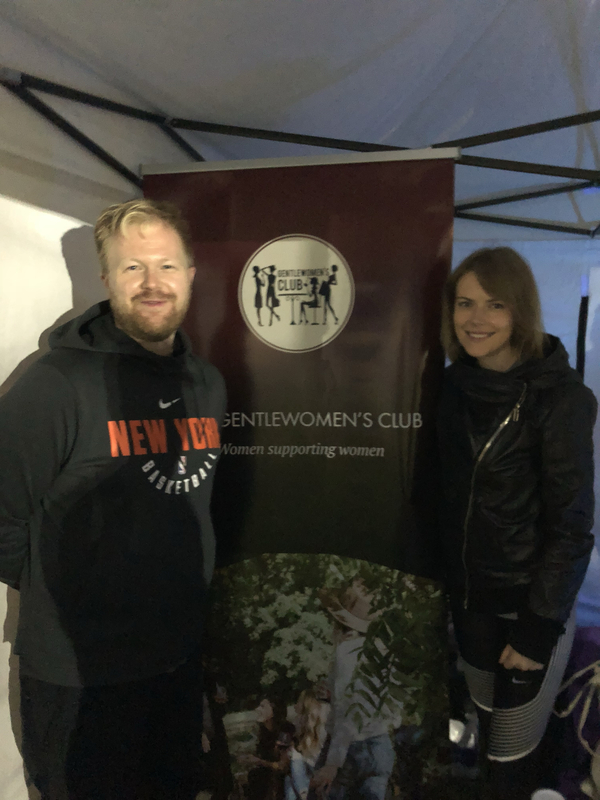 Rebecca and her boyfriend, Sander, joined us on Saturday evening, did a loooooong run for us, and brought popcorn and chocolate waffles – nom nom! 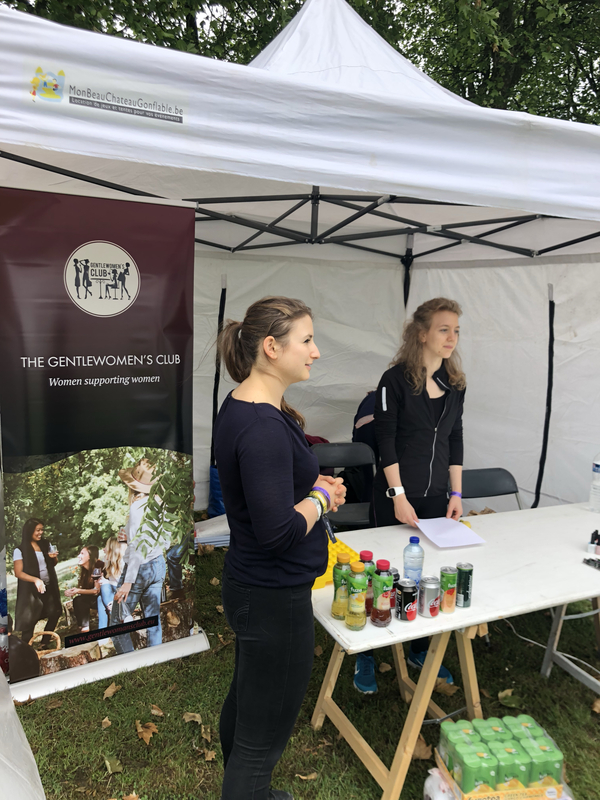 Neringa, and her fiance, Alex, joined us on Saturday night, just after the Luminaria ceremony, and they brought another layer of clothes, nectarines and ever more popcorn – as we figured out it actually sells well! They helped us with an hour of walking at midnight, as the core team was resting ahead of the long night shifts. 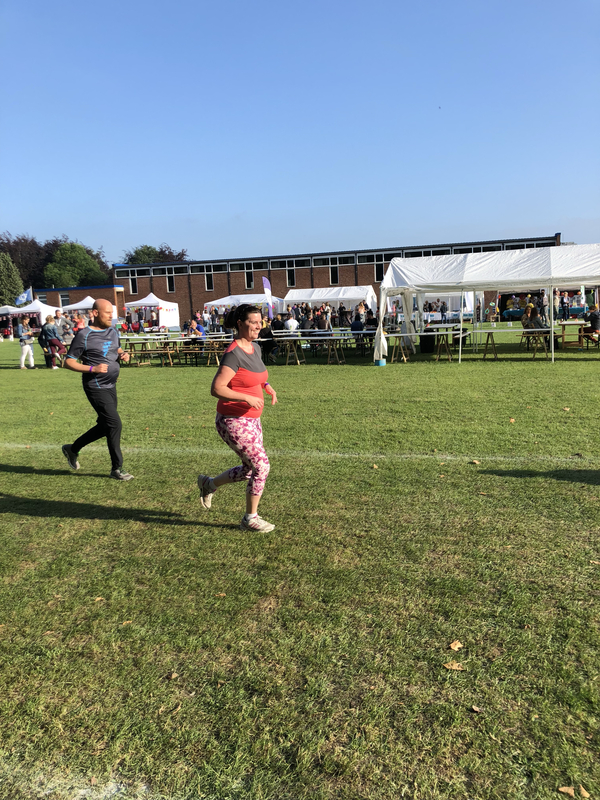 Overnight, in teams of two, Sabina and Otilia, and Simone and Irina took turns in sleeping and walking, making sure there is someone on the track at all times. Let’s just say they were getting a little tired. 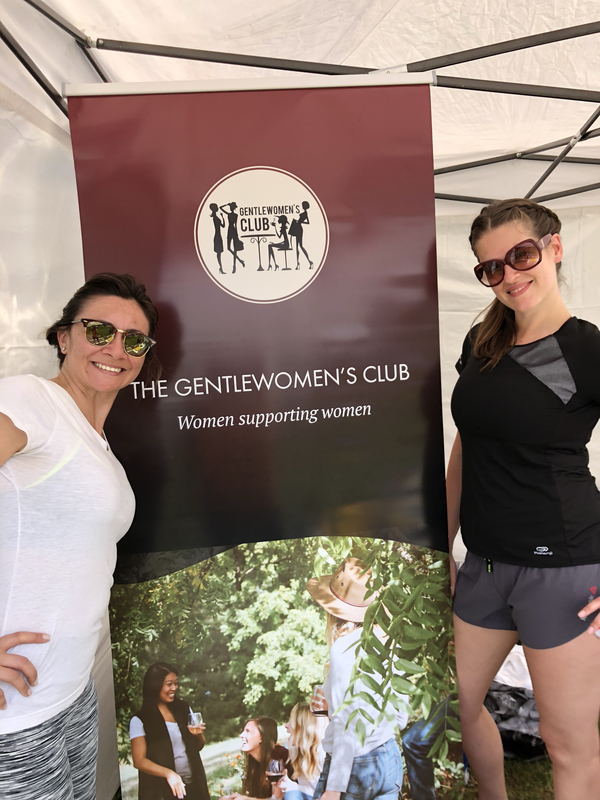 As the sun rose and they were still walking, although a lot slower, superwoman Vicky showed up with fresh coffee, croissants, face cleanser and essential oils – and most importantly, a fresh pair of legs to do the walking. 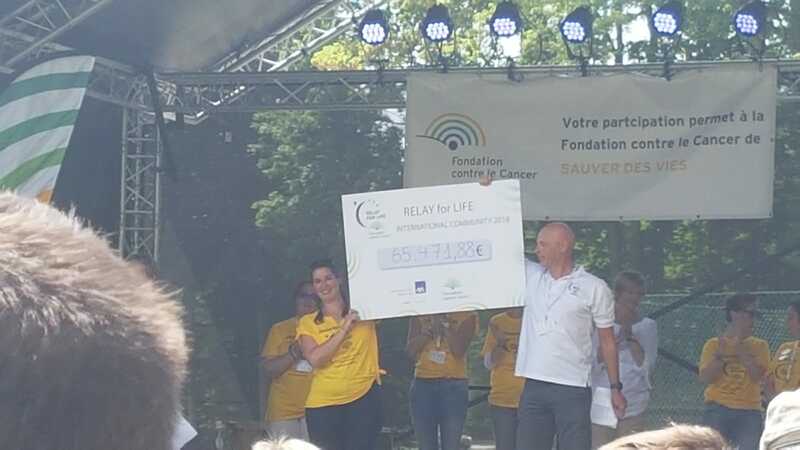 The sun was out on Sunday, energy levels were low, but they kept going till 2pm, when, during the closing ceremony, the organisers announced the final amount that was raised, close to 65.500 EUR, all donated to the Foundation Against Cancer. & the 2 anonymous donors! 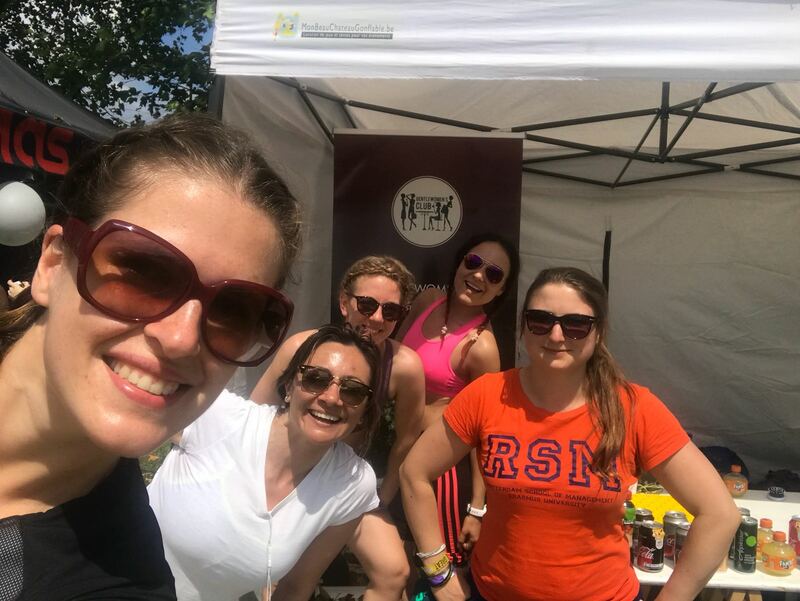 The AmCham EU & friends team, who were our inspiration for taking part and putting together our own team were amazing walking buddies throughout the race. Thus, we would like to say special thanks to Steph, our co-founder, and a long-standing supporter and contributor to the event, Charlotte who had a hairstyle appointment with our Simone, and Aurelie and Roger who kindly shared with our team pizzas and homemade cookies that kept them going through the night. 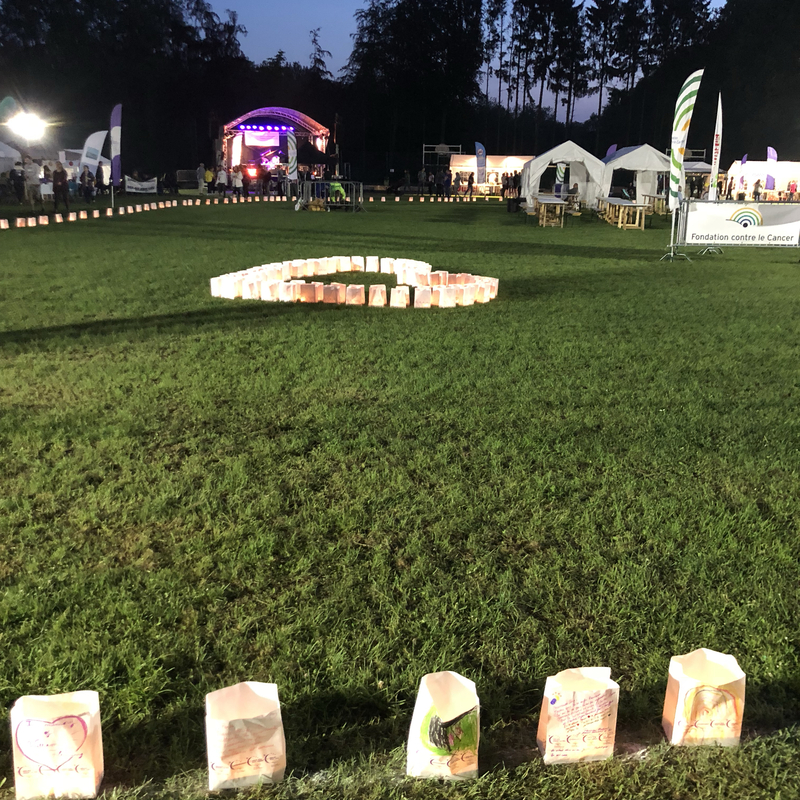 It was a beautiful and powerful event, we are happy to have contributed to a cause we care about. 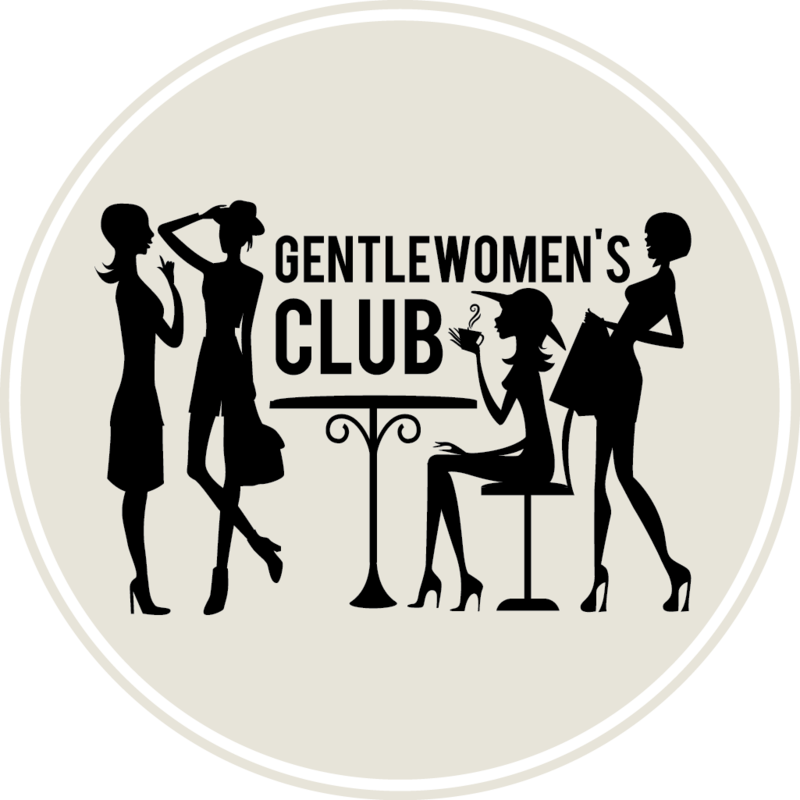 Wishing a good rest to our team and see you all at our next charity event soon!